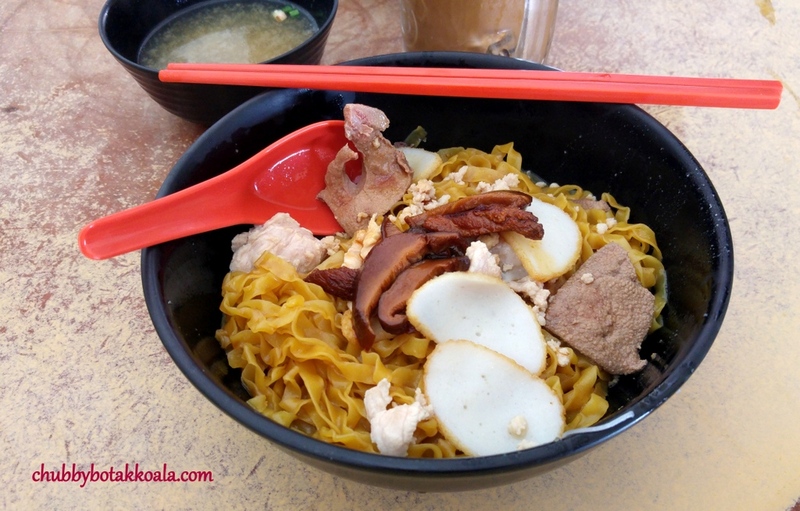 We got to know this place from a newspaper article earlier this year mentioning this legendary Bak Chor Mee / Minced Meat Noodle will be closing soon as they want to retire and cannot find a successor. In the typical Singapore kiasunism manner LD and I decided to give it a try before this place close down for good. 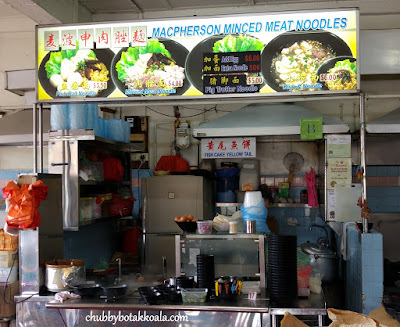 Like its name, Macpherson Minced Meat Noodle ('MacNoodle') originated from Macpherson before it moves to the current location in Upper Serangoon Road. During the day, this coffee shop only open for MacNoodle and occupying almost the whole coffee shop with the drink stall during the day, the stream of customers will just continuously streaming in all day. The menu on offer are fishball noodle, minced pork noodle, pig trotter noodle; and “Miniwok” version. Price starting for $3.50 onwards. The best selling item here is the fishball noodle. Due to limited supply it will normally run out by 10 AM in the morning. We managed to try it once. The fishball is crunchy and springy at the same time. Best part is actually the soup, which is robust with a hint of sweetness from long hours of boiled pork bones. Meanwhile the dry version of the noodle is unique on its own. 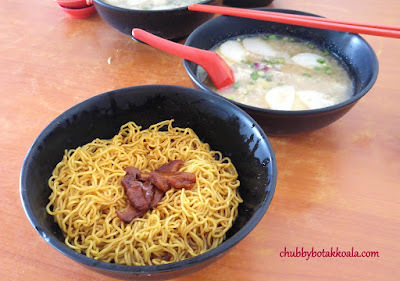 The Mee Pok and Mee Kia are cooked to al-dente. For non-spicy version, it uses the gravy from stew pork soft-bones with mushroom with a dash of black vinegar. The subtle tanginess with the gravy is just so addictive. For the spicy version, they just added the chilli in it, not empowering but well infused with the meat gravy and vinegar. 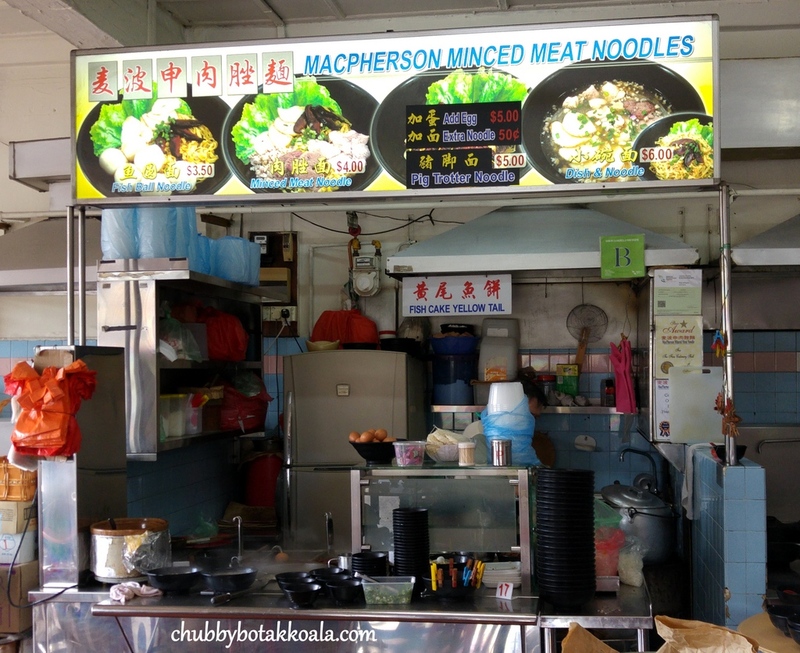 The Minced Meat Noodle, it comes with pork liver, fish cake, mince pork and sliced pork. The liver is cooked just before it reach the point of doneness, with a hint of pinkness. Pork meat is tender as it was coated with corn flour while the fish cake is crunchy externally and soft internally. For minced meat noodle, I recommend you order their “mini wok” version here ($6). Dry noodle with big bowl of soup on the side. The broth is not only robust, they added egg inside to create a smooth velvety texture. Meanwhile the remain egg will turn into nicely cooked like onsen egg. One thing for sure, MacNoodle does not use MSG in their broth for the Umami, instead it rely on the sweetness extracted from the pork bones boiled since 2AM in the morning. 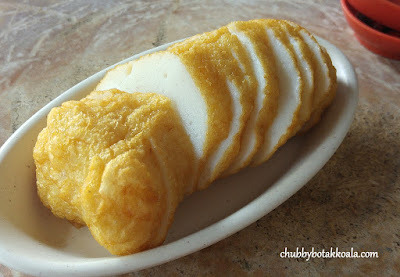 The yellow tail fish cake is available for $2 in limited quantity only. Can't comment on the pig trotter noodle since it has been elusive as well. One of the plus point of MacNoodle is that you don't need to stand up and wait to order. Just approach the stall, place your order, get your number and wait until your order delivered to you. The Uncle and Aunties are very friendly bunch, so don't hesitate to ask if you are not sure. So if you are looking for a Die Die Must Try Bak Chor Mee, I recommend this place. Cheers!! (*Update on 26 Aug 2016: Due to the change in manpower, MacNoodle will be implementing full self service. Sorry folks, looks like must stand up and queue again). PS: We heard on the news, one of the loyal customer has agree to take over the shop. Hopefully the successor can master the legendary dish and uphold the tradition. In the meantime, we will just continue to have our dose of Macnoodle cooked by the original MasterChef!! PSS: Expect to wait between 45 minutes to 1 hour during the weekend. Don't say we never warn you hor! !